Hi everyone! This is Toni from Exkee, creators of a few indie games such as I-Fluid, ColorZ, and Voodoo Dice. 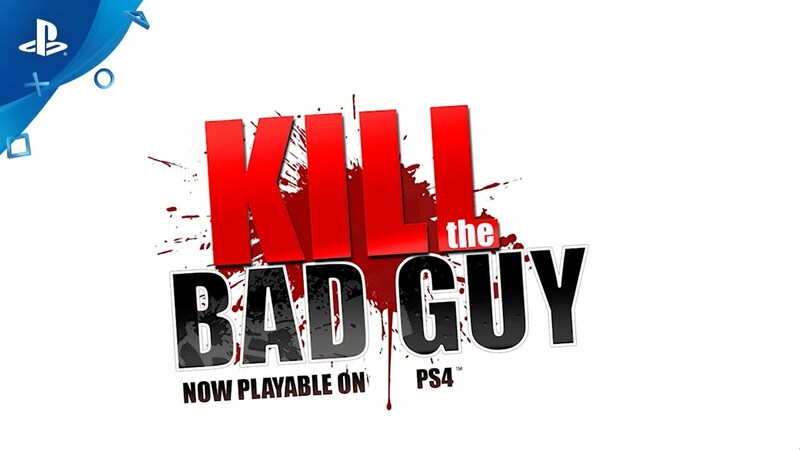 We’re proud to announce that Kill the Bad Guy is coming to PS4! The game took us two years of development and was previously launched on PC. Last year we decided to develop it on console and we’re very happy with the result. We wanted to create a special game, mixing several influences. 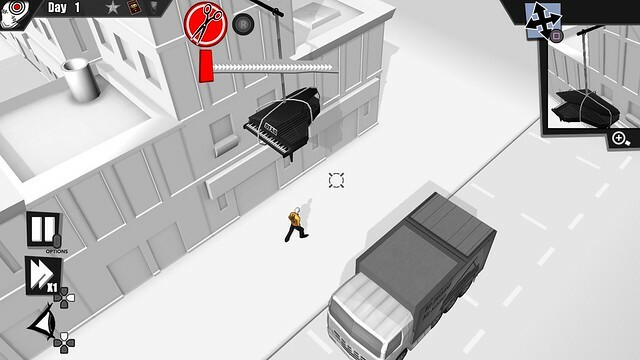 The gameplay of Kill the Bad Guy is a mix between puzzlers, strategy/stealth, and physics-based games. The aim was to give players a lot of ways to kill the Bad Guy — to let the player develop his own plan, but have a bit of a hard time doing it. In Kill the Bad Guy, players join a mysterious society whose members have sworn to get rid of war criminals, former mafia members, and other criminals, going incognito among us. Players create traps by combining, diverting, and hacking several elements of the background to create spectacular, lethal scenes. Each mission is organized in the same way. You can see a district where a Bad guy is peacefully walking. Your objective is to eliminate him. But it’s not that easy. You have to keep in mind that you are a dark avenger, and so you must stay discreet. Transform everyday items and objects into deadly weapons so no one knows you or your society were involved. Never lose your self-control, stay quiet, without mercy, aim accurately, and kill the Bad Guy! We hope you like the game, the soundtrack, the crazy bonus levels, and all the surprises we have hidden! intresting this is going on my to download list. I do love me some good indie games they are so different from the boring recycled triple A games. I wish the trailer gave some idea of how it is played. Makes it look too simple and boring to just smash some poor civilian walking around minding his own business. Looks like a good way to blow off some stress after a long day, this is being added to my purchase list. Haha this looks like my type of game 100%. Will look more into it.